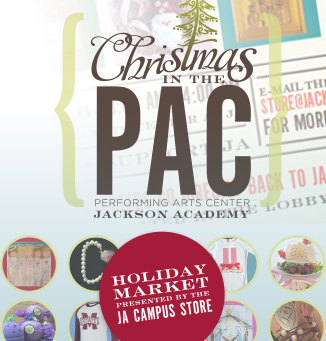 Our fifth annual Christmas in the PAC is only a month away. Mark your calendars for December 5! Keep a watch on Facebook and Instagram as we begin highlighting each of our vendors. The Campus Store is open Monday-Friday from 7:45 a.m. until 3:30 p.m.
Stay in touch with the Campus Store for the latest news and merchandise offered by liking us on Facebook.